Though many people refer to all drugs as narcotics, this is not accurate. Narcotics are actually opiate-based drugs, which are derived from the poppy seed. They are central nervous system depressants and are often given for both pain and the suppression of coughs. They are extremely effective for these purposes. However, they have the potential to be quite addicting. Narcotic pain relievers are amongst the most abused drugs in the world. Individuals that suffer from addictions to narcotics, especially those with severe addictions that they cannot overcome on their own, may require a stay in rehab. A rehabilitation center can be extremely helpful in making it possible for individuals to get clean. However, before many people are able to enter a traditional rehab facility, it may be necessary for them to first go through detoxification. Often times, a person’s body will have to be clean of drugs before they are able to start traditional rehab. In can be difficult, if not nearly impossible, to focus on rehabilitation when a person still has drugs in their system. This is one reason why detox may be necessary for narcotic addicts. Another reason is that it can sometimes be dangerous to simply stop using narcotics all at once. In some cases, it is much better if a person is medically supervised and then given drugs in substitution of narcotics, for example Suboxone and Methadone, which they will be slowly weaned off of. Not all narcotics are legal, prescription medications. One of the most well known, abused and dangerous narcotics is heroin. Heroin is extremely addicting and poses a number of risks to those who use and then become addicted to it. 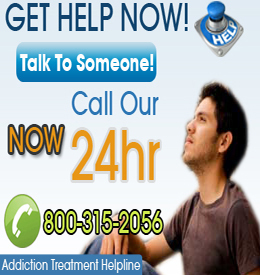 It is generally necessary for those with a dependency to heroin to get help. If a person chooses not to, they assume the risk of contracting HIV or Hepatitis C if they share needles. Collapsed veins, low blood pressure, respiratory problems and even failure, stroke and heart attack are all risks. In order for persons to avoid developing or suffering from these conditions, it is extremely important that they seek out help. Narcotic rehab is generally the best option.